A Free E-mail Consultation should be your first step. This is not limited to a single e-mail exchange, but as many as it takes to make sure that we're both on the same page when it comes to understanding your data recovery needs. Please use our Help! E-Mail Form to begin this process. A Free Initial Bench Evaluation is also available for your use. 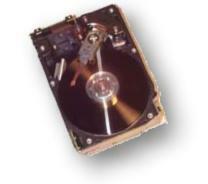 With your hard drive (or other media) in hand we can, in many cases, quote a firm price for recovery. Prior to accepting this or any other quote, you are under no obligation. Our "No Data, No Fee" Policy of long standing is still in place. You must know that there are some conditions, however. Here's how it works: If your media is an IDE or SCSI hard drive or other media using a FAT, NTFS, Novel (3x, 4x, 5x), or Linux Ext2fs system of file organization, (RAID systems included) and it passes our free initial bench evaluation as a drive that can be safely accessed using non-intrusive recovery methods, it is eligible for this no-fee-if-we-fail promise. You Will Not Be Liable For Any Cost that you are not made aware of in writing. No tricky wording at all. If you send in your drive along with the paperwork for a free evaluation -- even if we never communicated in any other way -- you will not be charged any fee without your participating in a written exchange via email or fax that spells out the charges in dollars and cents. You will not even be charged for return shipping expenses on a drive that is sent in for a free evaluation.